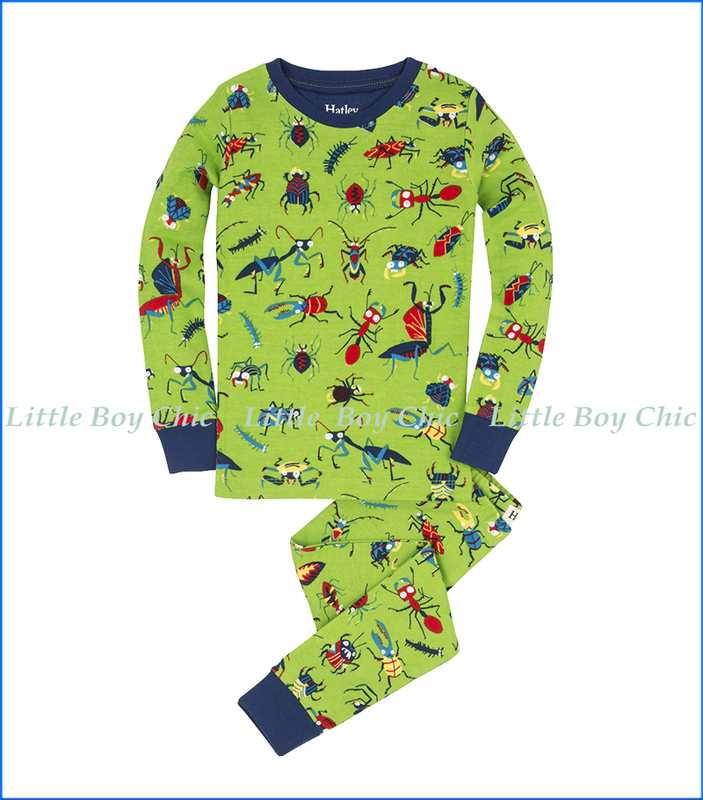 For the future biologist in the family, this long-sleeve (L/S) pajama set features more killer bugs than he can imagine. Soft breathable organic cotton. Contrast elastic hand and foot cuffs.